Courtesy of Innovation Real Estate, Susan Mireles. Driving directions: From Mulberry and College Ave, west on Mulberry to Overland Trail. Turn right on Overland to Bingham Hill Rd. Turn left on Bingham Hill Rd, then right on County Road 23. Travel south on County Road 23 to County Road 25G (Lodge Pole) to Blue Spruce. 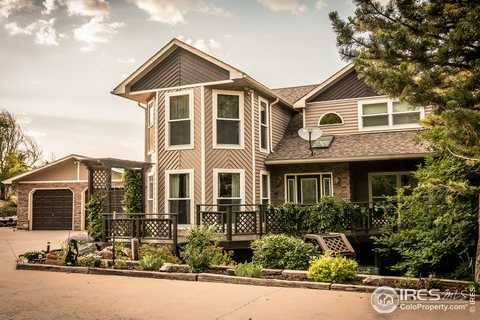 Please, send me more information on this property: MLS# 871756 – $734,900 – 6012 Blue Spruce Dr, Bellvue, CO 80512. I would like to schedule a showing appointment for this property: MLS# 871756 – $734,900 – 6012 Blue Spruce Dr, Bellvue, CO 80512.